Las Nayades is a luxury development built in a crescent-shaped architectural design, facing south giving you the sun all day. 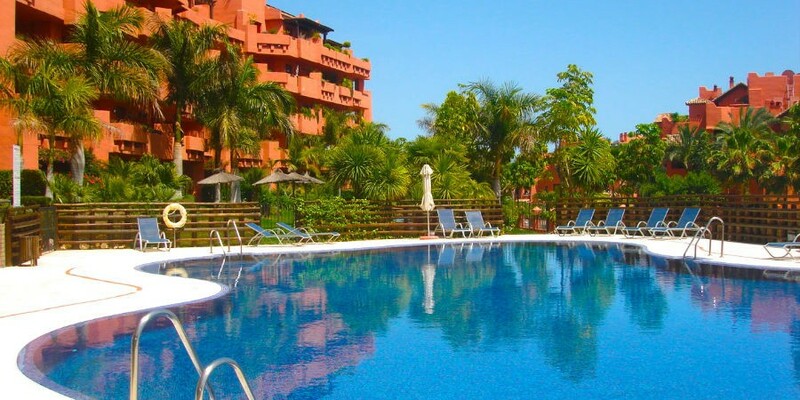 Las Nayades has a lovely outdoor swimming pool & children’s pool set in tropical gardens … and an indoor heated pool, Jacuzzi and gym. The beach is only a two minute stroll and so is the very popular Tikitano restaurant. Very close by is the Deli Bermejo which sells fresh bread every morning, a cafe/pizzeria, small supermarket, restaurant and a hair salon. 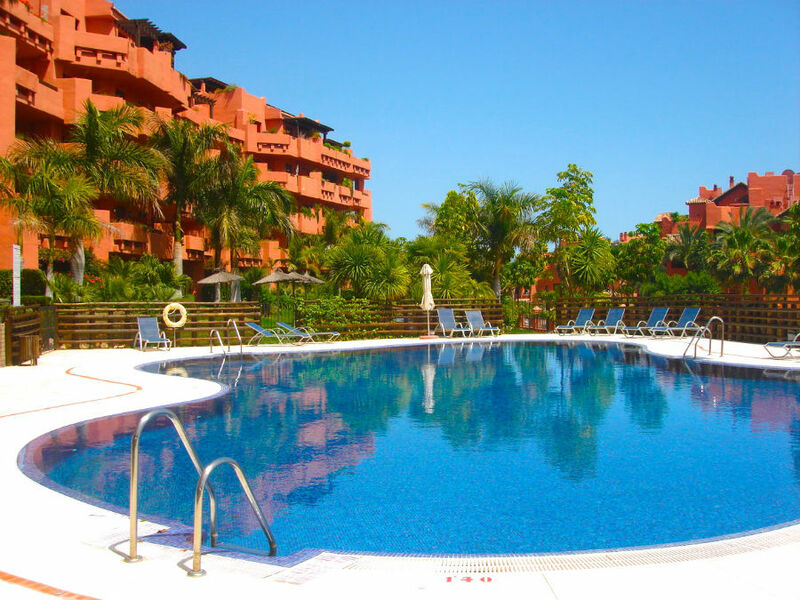 Las Nayades is located approximately mid-way between the lovely sea-side town of Estepona and Puerto Banus. In the old town of Estepona you will find many small tapas bars and fine restaurants. There are also a number of small plazas to enjoy a coffee or a glass of Rioja.